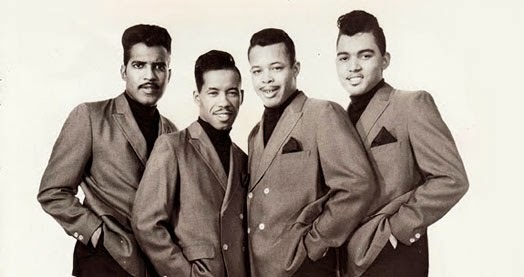 Legendary Chicago group The Chi-Lites will perform at 7:30 p.m. Aug. 9 at the University of Illinois at Chicago, 725 W. Roosevelt Road, Chicago as part of Help Hospitalized Veteran's "Salute to America-Chicago." 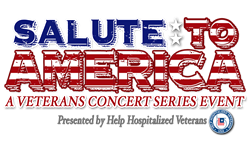 The event is presented in cooperation with Soldier’s Wish, a group dedicated to meeting the needs of individuals serving in the military. Admission to the Aug. 9 Chicago concert is free on a first-come, first served basis. More information is available by calling 312-413-9875 or emailing uicforum@uic.edu. During the summer, Chicago area residents have no shortage of music festivals to attend. Setting itself apart from all the others is the inaugural Great American Lobster Fest, which will be held Aug. 16-17 at Navy Pier in Chicago. I had the chance to talk to Band Called Catch frontman Tim Frank and Paper Thick Walls frontman Eric Michaels about the festival. Along with organizing Great American Lobster Fest, their bands will also play at the festival. Q - The festival features a diverse lineup. In putting together the Great American Lobster Fest, what were your goals? Tim: While bringing a taste of the East Coast to Chicago was the main focus, we wanted to make it about more than just great food. When we started to plan the lineup, our goal was to make sure we had a little bit for everyone - a nice mix of local and national indie bands, while at the same time, bringing on some leading tribute acts for the songs we all know and love - and can sing along to. Being that it's at Navy Pier this year, we expect a few more tourists to attend - so it was also important to make the music very Chicago based. Let folks know what we sound like around these parts and get some nice exposure for some of our favorite local acts. Q - Did you reach out to any bands in particular or did any of the bands approach you wanting to be part of the festival? Were there any bands that couldn't commit to this year's festival that you would like to get to play in the future if the festival continues? Tim: We heard from a lot of bands, and there were a few that had some conflicts that we hope to add next year. Since our fest was scheduled a little later than most fests, our prep time was limited - but we are extremely happy with what we've put together. For the sake of not name dropping, we'll leave what we are considering for next year a surprise, but this is only the beginning. Q - Summer brings out a countless number of festivals in Chicago. How would you like the Great American Lobster Fest to stand apart from other festivals? 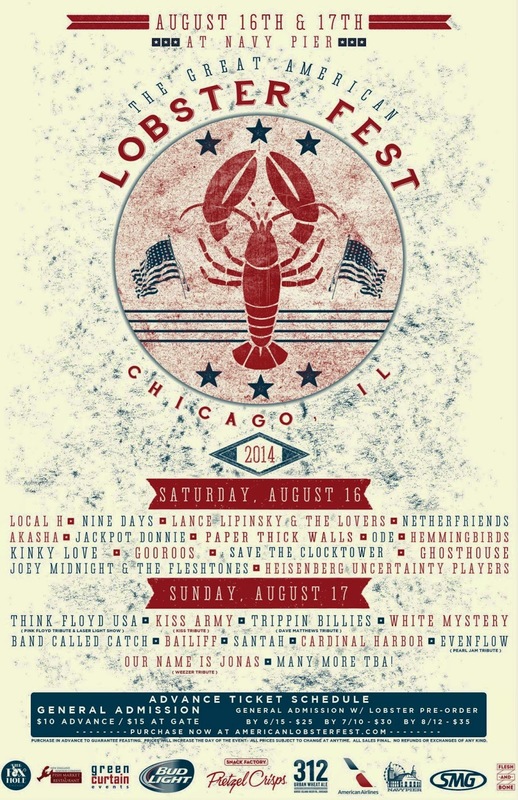 Tim: First there's lobster - and other seafood - Chicago's first full-fledged seafood fest. Then there's Navy Pier - the amazing Grand Ballroom, and the stage we are bringing in for outside (it's the indoor/outdoor factor - rain or shine). Then - oh yeah - the air and water show happens to be going on... and you're at one of the best places in the city to view it. Then on Saturday night you get get fireworks. It's all sort of crazy how it worked out - it was destiny, I suppose. There's no other fest in Chicago that will give you loads of fresh lobster choices, an indoor and outdoor stage for 27 bands, carnival games, and fireworks - all while planes are doing tricks right above your head. Q - Of course, your bands are also part of the lineup. What is going on with your bands these days? Are you working on new music? Tim: Ha! - why not right? We used to do everything we could to get onto festival lineups and now we're producing our own - so it was hard to not toss our own bands onto the lineup. Band Called Catch has been on a bit of a break as Jess has been touring with "The Man In Black Show" (playing the June Carter role), and I've been a bit busy with Foxhole - but we've still found a few spare hours to write some new stuff - we'll do a new one at the fest. Very exciting. Eric: I have had to put some of the Paper Thick Walls projects on the back burner this past year to focus on The Foxhole and The Great American Lobster Fest, but the band is coming off of a successful headlining show at Metro and a recent WXRT spin of a track from our upcoming record, "Dead Cities." This summer we have been focusing on television and film licensing and are planning to release the "Dead Cities" in the fall. Q - Would you like to see Great American Lobster Fest become an annual tradition? How do you see the festival growing? Tim: Oh yeah - we've spent the last six months working full time to make this a reality - there's no question in our minds that this will be an annual tradition. We have some other plans for this fest and where it will go - but will leave them a surprise for now! 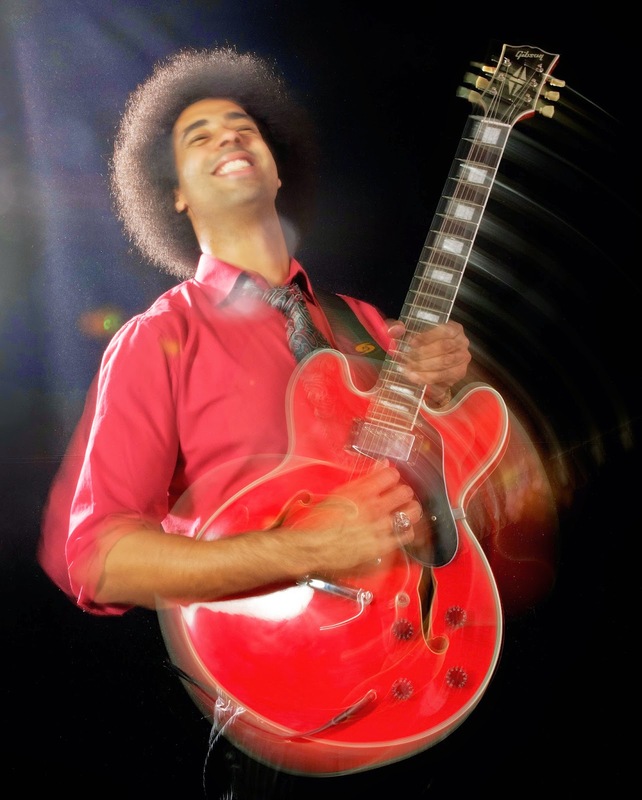 Selwyn Birchwood bringing fresh energy to blues, will perform at S.P.A.C.E. The future of the blues is in the capable hands of 29-year-old Florida native Selwyn Birchwood. Birchwood started garnering attention when he toured with blues legend Sonny Rhodes at the age of 19. Last year, Birchwood won the esteemed International Blues Challenge. The fresh energy and passion that Birchwood brings to the blues is on full display on "Don't Call No Ambulance," his debut CD for Chicago-based Alligator Records. Birchwood, www.selwynbirchwood.com, will perform July 31 at S.P.A.C.E., 1245, Chicago Ave., Evanston, with fellow Alligator Records guitar slinger Jarekus Singleton. The show starts at 8 p.m. and tickets are available at www.ticketweb.com. I had the chance to talk to Birchwood about the new album. Q - You performed in June at the Chicago Blues Festival. How was that experience and what did you learn from it? The Chicago Blues Fest was incredible. It was great to see that there is still that much support for Blues. The Chicago Fest was a little different in the fact that they had a majority of actual blues bands. Sometimes you can arrive at a "blues fest" and hear anything but the blues. Q - Blues legend Sonny Rhodes took you under his wing and you toured with him when you were 19. What were the most important things that he taught you and how do you think your music has evolved since then? I really learned a lot about what the lifestyle of a touring musician was from Sonny. He taught me what to do and what not to do, and what is expected of a band leader. I'm forever grateful that he let me ride his coattails in that regard. Being on the road with Sonny was really inspiring. Once I saw the level of talent that was out there and the amount of excitement at the Blues festivals etc., it only increased my ambition to pursue this career. Q - Of course, you recently released your third CD, "Don't Call No Ambulance," which is your debut on Chicago-based Alligator Records. What goals did you have for the album and do you think you achieved them? What is it like being on a label that has been home to so many music legends over the years? I didn't have any real goals for the record once it was released. My goals were all in the recording process. I just wanted to have the record be a close representation of our original music in our live shows. I think that the CD came out pretty well and it's been received greatly so far. It's very surreal to be on Alligator. A lot of my favorite artists recorded for Bruce and it's flattering to have the opportunity to work with him. Q - Your band placed first at the 2013 International Blues Challenge and you also took home the Albert King Guitarist Of The Year award that same year. Are you surprised at how well your music has been received? What do you think separates you from other musicians? I was ecstatic that we won the competition. I always tell people, and I mean it, that you shouldn't focus on the competition, but rather the networking opportunities. I felt that we had a chance to do well in the competition because I thought we fit the judging criteria well, but never got my hopes up on actually winning. It's too subjective to do that. Every judge has their own taste and you may, or may not fit that. I think that our original material and stage presentation separate us from some of the other bands. We do almost all original material and try to put on an energetic and fun show. Q - Through your music, are you trying to bring the blues to a new generation of fans? Do you feel a responsibility to carry on the blues tradition? What do you think of the current blues scene and how do you think it can be improved? We're really just trying to make good music and get it out to as many audiences as we can. I think if you do that, a lot of other things will fall into place. Q - Jarekus Singleton, who also is signed to Alligator Records, is your age. What do you think about his music and what he is bringing to the blues scene? I really dig what Jarekus is doing. I think he is doing a lot of what we are trying to do, as far as bringing a fresh vibe and feel to the music, but from a different angle. That's one of my favorite things about this music. You can inject your own perspective and personality into it! Q - You switch up between a six-string guitar and lap steel. In sitting down and writing a song, how do you decide which instrument to use? What is your writing process? Do you write the music first and then the lyrics, or vice versa? I don't have any set approach to writing. I get inspired by certain sounds, situations, feelings, pretty much anything. I try to just build from that inspiration in whatever way seems fit. I don't really have any dream projects or collaborations. I just want to play good music. Buddy Guy was the first to inspire me into Blues music, so it would be very cool to sit in with him though. New Chicago theatre group to premiere "Shakespeare’s Antony and Cleopatra: UNDONE"
Starting this fall, Chicago's theatre scene will get even more vibrant. Skyline StageWorks, a new Chicago theatre company dedicated to connecting exceptional artists with classic stories in intimate productions, will present the world premiere of "Shakespeare’s Antony and Cleopatra: UNDONE." "Shakespeare’s Antony and Cleopatra" will run from Sept. 5 to Oct. 5 at The Side Project, 1439 W. Jarvis Ave., Chicago, with performances taking place at 8 p.m. Thursdays through Saturdays and at 3 p.m. Sundays. Tickets are $15 and can be purchased at www.brownpaperticket.com, or at the door. 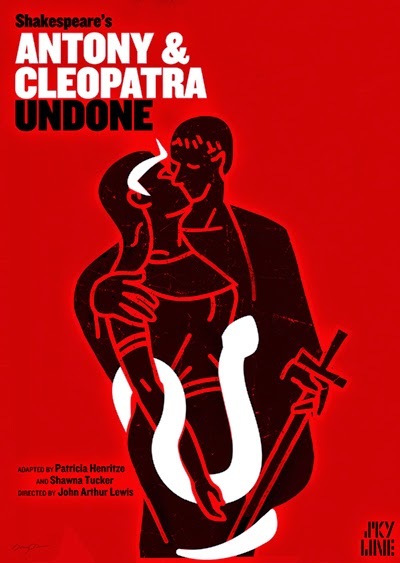 I had the chance to talk to Shawna Tucker, who co-wrote the adaptation and who plays Cleopatra in "Shakespeare’s Antony and Cleopatra," about the upcoming production. Q - Great talking to you. "Shakespeare’s Antony and Cleopatra: Undone" is Skyline StageWorks' inaugural production. How do you think the production fits in with Skyline's mission? Skyline StageWorks aspires to create work that will touch the mind and heart. We’re interested in giving the audience a memorable experience. The raw, all-out Chicago aesthetic has been my goal since the beginning of my career, and most of the time I do not see that aesthetic with Shakespeare productions. I’ve long felt Shakespeare is the ideal playwright for a raw, organic, in-the-moment, explosive approach. His works are so often seen as just genteel. We’ve taken a play that isn’t produced as much as many of his others, and rebuilt it so it can be seen up close and personal, on a small, intimate stage. Our goal is to let the big emotions and characters of Shakespeare wash over the audience. Q - You co-wrote the play with Patricia Henritze and the play itself is based on Shakespeare's "Antony and Cleopatra." What were your goals in presenting this updated version of the story and what would you like audiences to come away with from the production? The play isn’t actually “based on” Shakespeare’s play or an update, it IS Shakespeare’s play. Everything that is in our play is in his. We wanted to focus more on the relationship of the title characters than on the world politics of Shakespeare’s original, and highlight the gorgeous poetry. The poetry, too often not heard out loud, is one of the “gifts” we want to give to our audiences. It is utterly, utterly gorgeous. Most people don’t study this play in school, and they don’t know what they are missing! Q - You also will be playing Cleopatra in the production. Do you think the fact that you co-wrote the play gives you additional insight into the character and how she should be portrayed in the production? Perhaps the greatest advantage is that I’ve been able to spend more time rehearsing the character. I have a history background and I love doing research for any part I play. I did a tremendous amount of research in the course of working on the play – all of which helps when approaching the part as an actress. I read numerous biographies of Cleopatra and Antony, and commentary on their legacy. I’ve also read as much as I’ve can about previous productions to try to discover what worked and what didn’t in the production of the play. There are not many productions of Shakespeare’s original play that are considered unqualified successes. Even though we are not bringing the entire play to an audience, we are hoping that our version will whet some appetites for Shakespeare in general, and his “Antony and Cleopatra” in particular. Q - You are heavily involved in the Chicago theatre scene. How do you think the Chicago theatre scene compares to other theatre scenes around the country? Chicago’s theater scene is incomparable. I trained here, and this is actually the third time my family has relocated to the area after moving away twice. Other cities have advantages, but the size of the theater community here, and the strength of both the union and non-union theater communities make Chicago exceptional. Critics, audiences, and theater artists take both communities very seriously and there is a level of support for theater in general that is inspiring. When you are newly arrived in Chicago, all sorts of theaters are eager to see you audition. Even though other cities’ theater communities are smaller, getting your foot in the door in Chicago is a heck of a lot easier than anywhere else I’ve lived. Q - What do you think distinguishes Skyline StageWorks from other theatre groups in Chicago? As you mentioned, I’ve lived and worked in a number of cities. Each city has a different theater personality. Though I like Chicago’s the best, there are some amazing facets of the other communities where I have lived and worked. I am hoping to bring the best aspects of the theater from the other cities and combine them at Skyline StageWorks. We’re focused on immediacy and intimacy, which is from Chicago. But since I’ve moved around a lot I have also learned the importance of making new friends. Reaching out to people who aren’t regular theatergoers is also part of what we want to do at Skyline StageWorks. Chicago's Public House Theatre to present "It's Still Life"
Chicago's The Public House Theatre, 3914 N. Clark St., will examine the relationship we have with our possessions during "It's Still Life," which will be presented from July 10 to July 31. Showtime is at 8 p.m. each night and tickets are $10, available by calling 1-800-650-6449 or at PubHouseTheatre.com. I had the chance to talk to director Ashley Nicole Black about the play. Q - Great talking to you. What made you want to direct the play? What would you like for the audience to take away from it? The cast! I was familiar with some of their work already, and when I saw the rest of them work I thought they were all so smart, and funny in unique ways. I’d like the audience to take away an appreciation for the small moments: in life, in watching a piece of theatre, the time we spend searching for our keys…. observation is the impetus of comedy. Q - You moved from Los Angeles to Chicago and I understand you fell in love with the Chicago theatre scene. What was it about the scene that attracted you? How is Chicago's theatre scene different than the one in Los Angeles? Neither is wrong, I just think it helps to do it the Chicago way first. Q - You are also a comedy writing teacher at The Second City Training Center. What do you try to convey to your students? Why do you think that Chicago is such a hotbed of comedy talent? I try to help my students find their own voices. I never thought I would get so heavily into teaching, but it turns out nothing is more rewarding than helping someone find their own point of view. I think they think I’m there to teach them the “right” way to write, and I will, but I’m much more interested in helping them find their own way to do it. I think the Chicago theatre scene is so “hot” right now, because it's an incubator. See what I did there? A lot of the performers I meet aren’t looking for agents, or trying to get famous, they are focused on craft. This is the only place where I’ve seen such a concentration of people like that. Of course, we have some of the best teachers in the world concentrated here as well and that helps a lot too. But a city full of people focused on getting great at comedy means two things, community and competition. Community feels good, competition feels terrible; but both create an environment where everyone gets better faster than they would have alone. Now in its ninth year, Celebrate Clark Street World Music Festival will once again showcase a culturally rich musical lineup when it takes place July 19 and 20 in Rogers Park in Chicago. 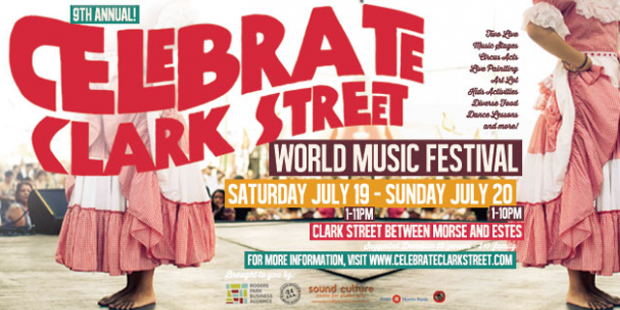 Curated by the Sound Culture Center for Global Arts, Celebrate Clark Street will take place on Clark Street between Morse and Estes avenues, and a $5 per person donation is requested. Proceeds help fund programs such as the beautification of commercial corridors and the Glenwood Sunday Market in Rogers Park. I had the chance to talk to Sound Culture founder David Chavez about the upcoming festival. It's always a balance between helping to break new artists, representing the diversity of the community on stage, providing a platform for local world music artists, and ​booking things that have a story and will attract an audience beyond Rogers Park. Q - How do you think this year's lineup compares to previous lineups? I think it's pretty solid. ​I never know who’s going to be touring in the region around this particular weekend, so it's always interesting to see the mix of artists. I always love Ricardo Lemvo and Makina Loca. He has a new album out; it's the perfect mix of an Afro Latin dance party. Cumbia Machin is a one-man Electro Cumbia Party playing sequencers and an instrument called the Zendrum (due to having Focal Dystonia​ in his right hand). Cheick Hamala Diabate ​is a Grammy-nominated artist who just electrifies Malian dance music ​with his n’goni ​instrument​. Rafi eL is from LA and he's been exploring Latin folk music through a contemporary lens, often integrating electronic and global bass music. Kosta Kostov is a Bulgarian-born DJ/producer based out of Cologne, Germany who I met last fall in the UK; he integrates traditional and electronic Balkan beats with live musicians into his sets; should be a party. There are so many that I really like; locals Funkadesi and Fareed Haque, as well as Dos Santos and Vicios de Papa are party starters as well. And we have, for the fist time, Four Star Brass doing a set for us: NOLA style brass with Chicago twists. Q - You founded the Sound Culture Center for Global Arts in 2009. In establishing the Sound Culture Center, what were your goals and do you think you accomplished them? I've seen so many more venues and festivals in Chicago now [that are] integrating world music into their programming. For me, the more people who experience world cultures first hand, even as a live music performance, the more we break down the barriers of assumption or prejudice about one another. That's always been my goal. Most definitely! It was a place where many countries had delegations of youth that we would interact with on a daily basis, through activities and, a lot of times, through translators. I feel like that's what sparked my interest in other cultures and thus world music. That one trip showed me first hand how we are all more alike than different, and I've been back to Cuba four times since then; it's been what has perhaps shaped my world view from a very young age. I'm not quite sure yet. It's always been an organic evolution, sometime without me even noticing. I have been doing more work in the Global Bass scene however, starting to blur the lines between the traditional world music community and an emerging class of new globalistas. It probably helps that I've been DJ'ing since college and have a special interest in electronic dance music, in particular where it concerns world music. Chicago is not only the city of big shoulders, it is also a city of many cultures. "Surabhi: A Melting Pot of Music" brings together musicians and dancers from the city’s flamenco and Indian music scenes. 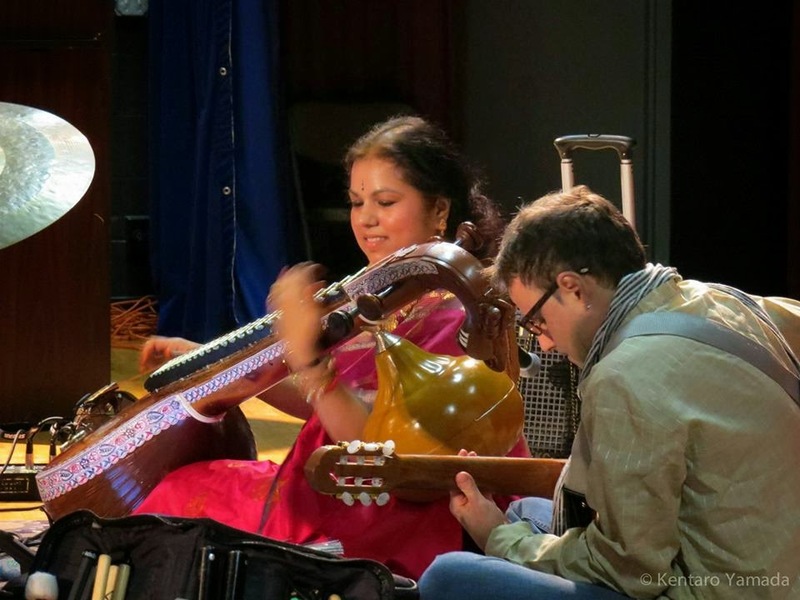 Surabhi features dual leads Saraswathi Ranganathan on the South Indian Veena and Carlo Basile on flamenco guitar. "Surabhi: A Melting Pot of Music" will take place from 6:30 to 7:45 p.m. July 9 in the Garfield Park Conservatory, 300 N. Central Park Ave., Chicago. Admission is free and the event is open to all ages. I had the chance to Sara and Carlo about the upcoming show. Q - Great to talk to the both of you. Want made you want to be a part of an event like this? Carlo: For me, I have always enjoyed our collaborations of Indian and Spanish guitar music. When we add the dance element from both cultures, it's even more enjoyable. Sara: When the City of Chicago was calling for proposals, I thought it would be wonderful to present artistic music that will appeal to a cross cultural audience, which is what our collaboration has been about, all along. And sure enough we were part of a few music groups handpicked to be on this fun event. The event is also about bringing in artistic music to areas of the city that have restricted access to our kind of music and dance. So, it all worked out! Q - Sara, I know that your mother introduced you to the Veena when you were 6 years old. Was it a hard instrument to learn? I know you also teach classes. What is some of the advice that you give to your students? Sara: Interestingly the Veena, much like the piano, is the first 'go to' beginner instrument for learning South Indian Carnatic music (at least it used to be when I was learning). The frets (like the keys) are pretty straightforward and simple to learn at the beginner level. But to master the instrument, get the microtones and subtle intonations - and to be able to 'vocalize' the sound is very challenging. I tell my students to listen to a lot of good music, practice and to be in love with it. So over time, their love and patience will be amply rewarded! Q - Sara, you have earned many rave reviews for your musicianship. What have you tried to do that separates you from other Veena players? Sara: I endeavor to keep myself open to different sounds from multiple musical genres. Plus my own strong foundation in South Indian classical music helps with deeper understanding of these various genres. This approach has helped me with presenting a unique versatile side of the Veena that has a more global presence. In fact it is perhaps one of the reasons I was the first Veena player to be picked for the "Jungle Book" musical directed by Mary Zimmerman. It's the first time a Veena artist has been featured in an off Broadway show! Q - Carlo, your flamenco guitar playing also has earned you rave reviews. How do you think your playing has evolved since you first started? What do you think makes you stand out from other players? Carlo: I actually specialize more in Spanish classical guitar and I received a master's degree in that area. However, I have studied flamenco in Spain as well as R&B styles here in Chicago. I also have been to Africa (Morocco, Senegal, Mali) and other places to learn more guitar styles too. So, I think I might just now be feeling like I have enough materials to create, compose and collaborate at a fairly high level. I also feel like I am willing to take some "musical risks" (for better or worse). So, perhaps, all of those things might make me stand out a bit from other players. Q - Carlo, you also collaborate with other musicians on a regular basis, such as your work in the production "Cascabel" and in the group Las Guitarras de Espana. Do you prefer working on your own or with other people, or do you need both in your life? Carlo: I need both! Just when you get tired of working by yourself, it's fun to revisit some old collaborations and, perhaps, pick up where you left off. Then it's nice to be alone again. Perhaps, some time to study again. Then the creative cycle starts again...and so on. Q - What is next for the both of you? Do you have any dream projects or collaborations? Carlo: I have really been blessed to take some of these collaborations so far. I have a wonderful family of musician friends from African, Indian, Asian, Hispanic, and Arabic cultures to work on new projects with. I am sure something will come up! Sara: My goal has always been to put the Veena up there on the international map. To that end I have been giving individual as well as collaborative presentations. I have a few projects that I am working on which are in the initial stages of taking shape. I am also excited about the upcoming World Music festival this fall. I am grateful for my experience working with talented artistes in my collaborative work!